So, you are planning a destination wedding. It sounds exciting as well as fun. Wedding being the most significant day of one’s life needs to be perfect with everything. While doing the wedding preparation, you should give special attention to the photography section. All the beautiful memories of the wedding day will be stored in an album. That is why, couples tend to spend more on photography these days. 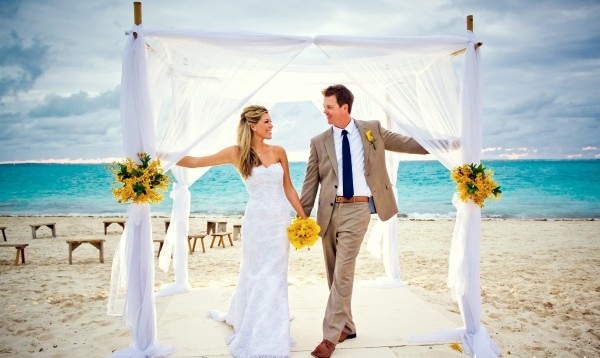 Some tips for the couples who are planning destination wedding. Choose a unique location: The location that you decide for your destination wedding must offer some beautiful photos. Schedule a post wedding photography and do not worry about the dress. For some memorable clicks, even don’t hesitate to trash your dress. Give time to portraits: Destination wedding is much different from traditional wedding. So, in all hurry do not forget to get some portraits clicked, else you will regret afterwards. You can tell your destination wedding photographer in advance, he can remind you of it. Be yourself: A destination wedding is like a short vacation. You just need to enjoy your day, and your photographer will capture the moments as the day unfolds. Don’t rush: It is your day; you do not need to worry about anything. Keep aside a lot of time for the photo session. If you do not want it in the middle of the wedding ceremony, plan a post-wedding shoot. Destination wedding photographers are all set to surprise you with some awesome clicks. Instruct in advance: It may be that, you have planned some special poses, or you may need some specific moments to be captured. With all these, instruct your photographer in advance. Be comfortable while discussing your needs and budget.